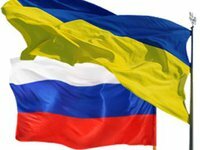 The presidents Vladimir Putin of Russia and Viktor Yanukovych of Ukraine did not plan to sign any documents in Sochi on December 6, Yevheniy Perebyinis, director of the information policies department of the Ukrainian Foreign Ministry, said. "No documents were expected to be signed and, naturally, no documents were signed during the meeting," Perebyinis told at the briefing on Tuesday. The meeting addressed a broad range of issues relating to bilateral cooperation in the financial, industrial, and IT spheres. "Special attention was given to Ukrainian-Russian cooperation in the energy sector," Perebyinis said. The presidents also discussed issues relating to the preparations for the meeting of the Ukrainian -Russian intergovernmental commission that is expected to take place in the nearest future, he said. On December 13, the Ukrainian delegation plans to take part in the 60th meeting of the CIS Economic Council in Moscow, Perebyinis said. There are 28 issues on the agenda. "Special attention will be given to the aspects of the realization of the treaty of a free trade zone of October 18, 2011," Perebyinis said.